Hey lovelies, I thought I'd share with you my top 5 nail polishs for spring..
2. 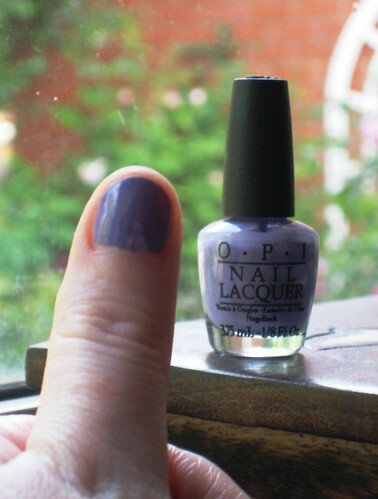 OPI Do You Think I'm Tex-y? 5. OPI Mimosas for Mr. & Mrs.
What's your favourite spring nail polish colour? 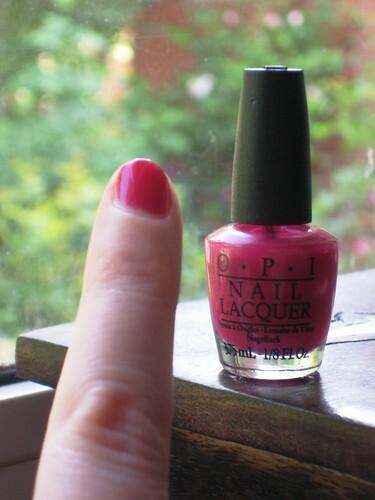 OPI is the best nail polish ever it doesnt chip like all the others. aww ive been meaning to do this old rainbow style nails for ages! looks so nice, esp with pretty opi colours. That first picture is very clever and creative. Friends gave me bottles of OPI which introduced me to the brand. I love trying new colors and you keep inspiring me to find new ones. I did tons of neutrals last spring and summer on my nails, so I think my fave is #3! #4 is also luffly...coral will also always be one of my favorites. Great picks! I have wanted planks a lot for so long! One day I will just cave in and buy it! I like Melon of Troy! I love it's orangey melony color!! Oh my gosh I'm so obsessed with OPI!!! I'm wearing their Privacy Please which is pretty close to Mr. and Mrs. I need to pick up those other colors though! Oh and thanks for the sweet message, you're so awesome! How pretty! Love the rainbow nails! I'm totally loving your blog! I 'd love if you visited my blog for multiple posts on all things fashion and style. I'm following you, I hope you'll do the same. Thanks so much.